The preceding weblog text considered the pronunciation of numbers in English, German, French, Dutch and Danish. There better be a general warning about invalidity of current research on number sense. Update Sept 3: There now is also this proposal on developing an international standard for the mathematical pronunciation of the natural numbers. Research on how children learn numbers, counting and arithmetic, is mostly done in the context of the current confusing pronunciations. This is like studying people walking a tightrope while saying the alphabet in reverse order. This will not allow conclusions on the separate abilities: (a) dealing with arithmetic, (b) dealing with a confusing dialect. In methodological terms: common studies suffer from invalidity. (Wikipedia.) They aren’t targeted at their research objective: number sense. Perhaps they intend to, but they are shooting into a fog, and they cannot be on target. A positive exception is this article by Lisser Rye Ejersbo and Morten Misfeldt (2015), “The relationship between number names and number concepts”. They provide pupils with the mathematical names of numbers and study how this improves their competence. This reduces the chaos that other studies leave intact. It is insufficient to state that you want to study “number sense in the current situation”. When you grow aware that the current situation seriously hinders number sense, then you ought to see that your research objective is invalid, since the current situation confuses number sense. If you still want to study number sense in the current situation, hit yourself with a hammer, since apparently this is the only thing that will still stop you. Results of studies within the current chaos will tend to be useless: (a) They cannot be used w.r.t. mathematical pronunciation, since they don’t study this. (b) Once the mathematical pronunciation is implemented, results on number sense within the current chaotic situation are irrelevant. There seems to be one exception to warning 2: the comparison of English, which has low chaos in pronunciation, to other situations with higher chaos (Dutch, German, French, Danish). This presumes similar setup of studies, and would only be able to show that mathematical pronunciation indeed is better. Which we already know. It is like establishing over and over again that drinking affects driving. The usefulness of this kind of study thus must be doubted too. One should not be confused in thinking that it would be useful. Indeed, we might imagine a diagram with a horizontal axis giving skill in addition with outcomes in the range 10-20 and a vertical axis giving skill in addition with outcomes in the range 20-50, both giving the ages when satisfactory skills have been attained, and then plot the results for English, German, French, Dutch and Danish. We would see that English has lower ages, and French might actually do better than German, since the strange French number names are for 70-99. It might make for a nice diagram, but the specific locations don’t really matter since we already know the main message. Compare this with our earlier observation that professor Fred Schuh of TU Delft already proposed on these grounds a reform of pronunciation in Dutch in 1943, 1949 and 1952 … Parliament in Norway (their “Storting”) decided in July 1950 to rename the numbers above 20 in English fashion. It is not only problematic that Xenidou-Dervou isn’t aware of this, but also that she doesn’t see that the current chaotic situation invalidates her own research setup. Thus, the statistics on drunk driving are corrected for the performance when drunk riding a bicycle. It might be suggested that nonsymbolic number sense would be independent from language, and we might readily accept this for numbers smaller than 10, but to properly test this for 11-99 we need a large sample of Kaspar Hausers who are unaffected by language. Xenidou-Dervou’s correction does not remove the contamination by language. Statistical tests may indeed be used to establish that large males tend to have a higher tolerance for drinking than small females, and to test legal standards. But questions like these are not at issue in the topic of number sense. It is already logically obvious that a change to mathematical pronunciation will be beneficial. There is no need for statistical confirmation, e.g. by comparing English with other language situations. To suggest that such research would be necessary is distractive w.r.t. the real scientific question (see next). The study of number sense can only be done validly in a situation with mathematical pronunciation, without the noise of the current chaotic situation of the national language dialects. Perhaps we might already start with Arabic numbers before First Grade indeed. Some children already watch Sesame Street. It would be more advisable to do something about pronunciation however. It is perhaps difficult to maintain common sense when you are in a straight-jacket of thesis research. The barrier against the use of mathematical pronunciation doesn’t lie with the competences of children but with the national decision making structure. Thus, most current studies on education and number sense will never discover, let alone resolve, the true problem. That the mathematical pronunciation will be advantageous is crystal clear. Of course it helps when you are allowed to first walk the tightrope and only then say the alphabet in reverse. Thus we have to look at the national decision making structure to see why this isn’t done. Of key importance are misconceptions about mathematicians. Policy makers and education researchers often think that mathematicians know what they are doing while they don’t. Education researchers may be psychologists with limited interest in mathematics per se. Few are critical of what children actually must learn. We may accept that psychology is something else than mathematics education, but when a psychologist researches the education of mathematics then we ought to presume that they know about mathematics education. When they don’t understand mathematics education then they should not try to force it into their psychological mold, and go study something else. Elegance with Substance, for education in general but targeted at highschool and first year of tertiary education. Current research on education and number sense assumes that there is an environment with integrity of science. However, there is a serious breach by Hans Freudenthal (1905-1990) w.r.t. the results of his Ph. D. student Pierre van Hiele (1909-2010). Van Hiele discovered the key educational relevance of the distinction between concrete versus abstract, with levels of insight, while Freudenthal interpreted that as the distinction between applied and pure mathematics, and henceforth used his elbows to get Van Hiele out of the way. Freudenthal was an abstract thinking mathematician who invented his own reality. There now exists a Freudenthal “Head in the Clouds Realistic Mathematics” Institute in Utrecht. Its employees behave as a sect, reject criticism, will not look into Freudenthal’s breach of integrity of science, and will not undo the damage. See my letter to IMU / ICMI. Other researchers tend not to know about this, and tend to accept “findings” from Utrecht assuming that it has a “good reputation”. Just to be sure: this warning on invalidity of research on number sense is general. We might for example think of issues discussed in the Oxford Handbook of Numerical Cognition (2015), edited by Ann Dowker. Or think about issues discussed by Korbinian Moeller et al. (2011), or E. Klein et al. (2013). But, this weblog is about a major problem in Holland, and thus it might help to make some remarks concerning the anatomy of Holland. The Dutch MathChild project can be found here, with contacts in Belgium, UK and Canada. Its background is in psychology and not in mathematics education. The Amsterdam thesis by Iro Xenidou-Dervou (2015) is not fully online and it should be. There is the full thesis by Ilona Friso-van den Bos (2014). She did the thesis at the dept. of education & pedagogy in Utrecht, but now she is at the Freudenthal “Head in the Clouds Realistic Mathematics” Institute (FHCRMI). I looked at this thesis only diagonally. Issues quickly become technical and this is secondary to the first question about validity. At first glance the thesis does not show sect behaviour (allowing for contagion from FHCRMI to other places at Utrecht University). The names of Freudenthal and Van Hiele are not in the thesis. The thesis has a neuro-psychological setup with a focus on working memory, which suggests some distance from mathematics education.The scheme of the thesis is that you define a test for number sense, a test for working memory, and a test for mathematical proficiency (try to imagine this without number sense and working memory), and then use children to see what model parameters can be estimated. Criticism 1 is that “mathematics achievement” is in the title and used frequently (see also the picture on p282), and taken for Holland as the CITO score (p160), which has a high FHCRMI content (so we find contagion indeed). Criticism 2 is that working memory belongs to the current fashion in neuro-psychology but is less relevant for mathematics education. For ME it is important to get rid of Freudenthal’s misconceptions and to look at Van Hiele levels of insight. Thus, get proper use of working memory, rather than train it to become a bit larger to do crummy FHCRMI math. It is not only problematic that Friso-Van den Bos doesn’t give the earlier reference to professor Fred Schuh of TU Delft in 1943, 1949 and 1952, but also that she doesn’t see that the current chaotic situation invalidates her own research setup. Yes, we do see that she makes a correction at times, but the point is that the proper correction is that the thesis as a whole is shelved, since the situation that she studies cannot render the data that she needs. As in the earlier weblog text, the main responsibility lies with Parliament: to investigate the issue. It will still be the educators of mathematics who have the responsibility to re-engineer the mathematical pronunciation of numbers, to be used in education, and subsequently also in society and courts of justice. As a teacher of mathematics, I have presented my suggestions in the earlier weblog text, see here. 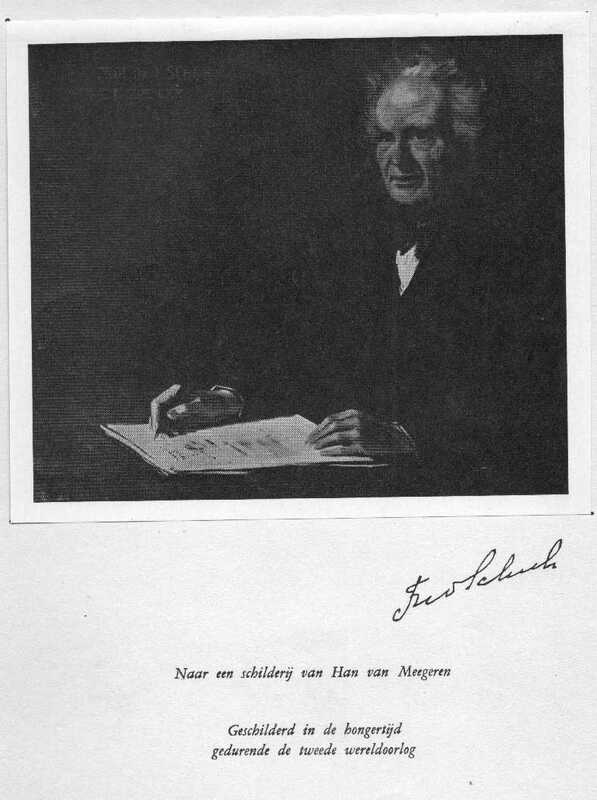 Professor Fred Schuh of TU Delft wrote about the different mathematical pronunciation in books in 1943 and 1949, and addressed the Dutch minister of education in 1952 (see here). Many others observed this issue too. There is a gap though between understanding the idea given by these few examples and seeing it developed fully. Thus I decided to write out the alternative. When you look at details then subtle problems show up. First of all, it appears better to use the middle dot instead of the hyphen, to prevent confusion with the negative sign. There is already a regularity in German for the numbers of ten 20, 30, 40, …, 90: zwanzig, …, neunzig. Hence, German has at least these options: (a) adopt English ten for 10, (b) use zig for 10. The latter would give least change. Number Math in English English Math in German ? German Math in German ! A compromise would be to accept 10 = zehn = zig, and to use zehn up to 20 and zig from 20 onwards. When you are accepting change then rather do it properly though. My suggestion is to use zig. Dutch has the same problem, and here my suggestion is to use tig. Danish might use their current word ti for 10. However, I have listened in Google Translate for the Danish pronunciation of ti⋅ti for 100, and though it sounds like tea-tea, I find it less convincing. My proposal for Danish is to use ten, which they already use for the numbers 13-19. English actually has the same issue. The numbers of ten 20-90 use ty (e.g. forty, fifty), so that we might consider using ty instead of ten. This would give least change as in German. Then 90 would be nine⋅ty instead of nine⋅ten. However, English ty⋅ty for 100 is less convincing again. Thus ten for English is best. German, Dutch and Danish might all adopt English ten. They already adopt Google or computer, and it would be curious when they are prim on 10, while change would benefit the learning of arithmetic by their young children enormously. French can use dix for 10 without problem. French has some curious twists and turns. It suddenly relies on addition (soixante-dix = 60 + 10 for sept⋅dix = 7 × 10) and then swiches to multiplication with 20 (80 = quatre-vingts for huit⋅dix = 8 × 10). When 20 changes from vingt to deux⋅dix, then it becomes advisable to change the whole system. Overall, we again see that mathematicians are trained for abstract thought and have insufficient awareness of the empirical realities of education. Mathematicians should explain to both teachers and language managers about the difference between mathematical pronunciation and national dialects. The problem doesn’t necessarily lie in education but rather in mathematical neglect. Professor Fred Schuh explained much of this already in 1943-1952, and thus one can argue that mathematics did explain it to education, so that it is the responsibility of education that they did not make the change. This is too simple a view. This simple view does not square with devoted teachers who explain to their beloved pupils that soixante-quinze + seize = quatre-vingt et onze (check the confusing hyphen), in the belief that they are doing perfect arithmetic. These teachers should have had proper mathematics education, so that they know that they are short-changing their pupils. The discussion of Putin’s proof gave me an email from Alexis Tsipras, who just resigned as prime minister of Greece and is busy with the general elections of September 20 soon. Rather than reporting on it, I might as well fully quote it. 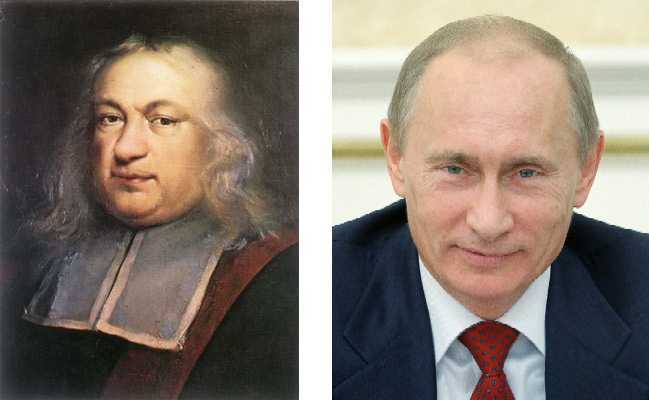 Thank you very much for your discussion of President Putin’s proof when he was a youngster of Fermat’s Last Theorem. I know his mother Vera Putina very well. The Putin family has a vacation home here in Greece, and she can stay there on the condition that she immediately leaves when Putin himself comes down. She has shown me his proof too. I can only agree with your conclusion that it shows how smart President Putin was when he was young. Putin’s proof inspired me to find a proof too. I am sometimes exhausted by the tough negotiations with the European Heads of State and Government, if not with members of my own party. Thus I resort often to a sanatorium for recuperation. Thinking about such issues like Fermat’s Last Theorem helps to clear my mind from mundane thoughts. I was very happy last Spring to indeed find a much shorter and more elegant proof. For the theorem and notation I refer to your weblog. My proof goes as follows. Theorem. No positive integers n, a, b and c can satisfy an + bn = cn for n > 2. Let us assume that an + bn = cn holds, and derive a contradiction. There are two possibilities: (1) n is even, or (2) n is uneven. This equation satisfies the condition that n = 2, and thus it doesn’t satisfy the condition n > 2. This equation does not satisfy the form of an + bn = cn so that it falls outside of Fermat’s Last Theorem. In both cases the conditions of the theorem are no longer satisfied. We thus reject the hypothesis that an + bn = cn holds. Q.E.D. This is much shorter that President Putin’s proof. And, I prove it while he only came close. I have been hesitating to tell him, fearing that he might become jealous, and be no longer willing to support Greece as he does in these difficult times for my country. Now that you have confirmed how wonderful his proof at only age 12 was, I feel more assured. Will you please publish this proof of mine too, like you did with President Putin’s proof ? I have put my best efforts in this proof, just like at the negotiations with the European Heads of State and Government. Thus I hope that it will be equally convincing, if not more. After the next elections I will probably be exhausted again. I would like to work on another problem then. Do you have any suggestions ? The door rang. I was surprised to see Vera Putina. It appeared that Putin’s mother was visiting her granddaughter’s fiancé’s family in Holland. “It is not safe for me to go to Moscow,” she explained, expressing the sentiment of many. When she was settled in the safety in my living room with a good cup of Darjeeling, it also appeared that there was more. VP said this without blinking an eye. The unperturbedness when taking other people’s possessions and territories must have a family origin. She delved into the bag that she had brought along and produced a stack of papers. I also saw a wire bound notebook such as children use in school. She gave me the stack. There was a great deal of difference between her nonchalant and triumphant handing over of the papers and my hesitant and rather reverent accepting of them. She said the latter as proof that she had been a good mother, but also with a touch of regret. Confronted with such motherly compassion I could only respond that I would oblige. Hence, below is Vladimir Putin’s proof. First I translate Fermat’s own proof from Latin (also using the Russian transcript that Putin made) and then give Putin’s correction. Theorem. No positive integers n, a, b and c can satisfy the equation an + bn = cn for n > 2. (2) a2 + b2 > c2. Then a < c and b < c. Then also ak < ck and bk < ck for k > 0. Impossible. Thus the theorem holds for (1). (2) If a2 + b2 > c2 then obviously (see the diagram) for higher powers too: an + bn > cn. Since (1) and (2) cover all possibilities, the theorem holds. Hence, young Putin proceeds by developing the missing lemma for (2). Lemma. For positive integers n, a, b and c: if a2 + b2 > c2 then an + bn ≠ cn for n > 2. Without loss of generality a ≥ b. Take k = n – 2 > 0.
f[n] = a (1 + (b / a)n)1/n with a ≥ b. This Lemma has the Pythagorean value f = √(a2 + b2) > c. The function has limit f[n → ∞] = a. (See a deduction here.) Thus f[n] is downward sloping from f > a to limit value a. We have two cases, drawn in the diagram below. Case (A) Diagram LHS: c ≤ a, so that there will never be an intersection f[n] = c.
Case (B) Diagram RHS: a < c < f = √(a2 + b2). There can be an intersection f[n] = c, but possibly not at an integer value of n. Observe that this case also provides a counterexample to Fermat’s claim that “obviously” f[n] > c, for, after the intersection f[n] < c. Young Putin already corrects the great French mathematician ! This is a magnificent result of the future President of the Russian Federation, at such a young age. His grandfather’s Marinus van der Lubbe’s submission to the Wolfskehl Prize would also have failed on this account. As so often happens with people who are not entirely sure of their case, the schoolboy then develops the following simple case, just to make certain. Case (c ≤ b). Use numerical succession from a2 + b2 > c2. Given an + bn > cn then prove an+1 + bn+1 > cn+1. Thus the Lemma holds for this case. Impossible. Thus the Lemma holds for (c ≤ b). It would have been better when he had looked at Case (B) on the RHS, notably by proving that f[n] = c cannot hold for only integers. I have looked in the remainder of the notebook but did not find further deductions on Fermat. Apparently the next day young Putin continued with what was more on his mind. It appears that he had a fantasy land called Dominatia in which he played absolute master, and it took much of his time to determine what was happening there. Something of the unruly nature of the natural numbers however must have stuck in his mind. In a perfect fantasy land everything is already as wished, but in young Putin’s Dominatia land he fantasizes about unruly citizens who must be put under control. The theorem & lemma are not yet proven for Case (B) on the RHS. We must still rely on Andrew Wiles. Nevertheless, Vladimir Putin doesn’t do just sports but also has amazing intellectual powers, at least when he was at age twelve. Fermat’s original own proof of his theorem seems to have had a serious error, but it is not precluded that it was only chance that it did not get published (with or without corrections). 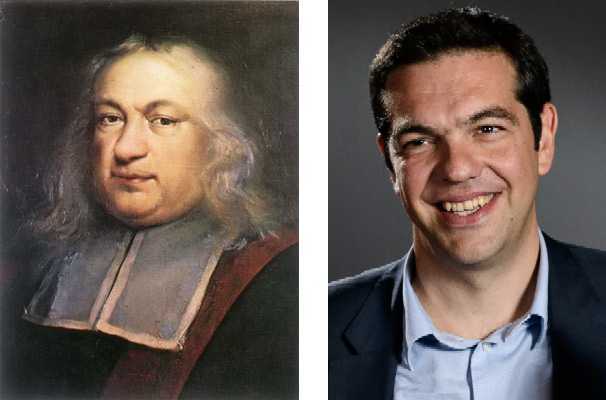 Fermat’s Last Theorem has dubious value for education. It seems more important to develop the notion of limits, and in particular the notion that you should not transgress borders. When students do not understand this properly at a younger age then this may cause problems later on. It may be nice to see how f[n] = c is sandwiched, when a + b > f > c > a ≥ b. Case (c > a ≥ b) There is a point f[n] = c or an + bn = cn for reals but perhaps not for integers. positive + positive = ? Thus, assuming that the theorem doesn’t hold for n requires that it holds for k = n – 2. Comparing (i) and (ii) we see the switch from > to <. For example: when c = a, then an + bn = cn is only possible in (*) if c = a = b, but this is actually also impossible because it requires that cn + cn = cn. The table collects the findings, with the LHS and RHS now referring to equation (*). This table actually also proves Case (A) that Putin took for granted. Only Case (B) remains, and requires proof that f[n] = c cannot hold for only integers. Mathematics education is a mess. In primary education the development in arithmetic, geometry and other math topics is greatly hindered. Mathematicians are trained for abstraction while education is an empirical issue. When mathematicians meet in class with real life pupils then they solve their cognitive dissonance by holding on to tradition. But tradition and its course materials have not been designed for empirical didactics. Pupils suffer the consequences. The West reads and writes from left to right but the numbers come from India and Arabia where one reads and writes from right to left. In English 14 is pronounced as fourteen but it should rather be ten·four. 21 is pronounced in proper order as twenty·one, but is better pronounced as two·ten·one, so that the decimal positional system is also supported by pronunciation. This is just one example of a long list. An advice is to re-engineer mathematics education for all age-groups. This book looks at primary education. Parliaments around the world are advised to have each their own parliamentary enquiry to investigate the issue and make funds available for change. The Dutch government wants to determine the national research agenda to 2025. Not only the minister of education and science but also the minister of economic affairs expressed an interest in this. These ministers set up a “knowledge coalition” consisting of some research institutes and users of science like an organisation of employers. This “coalition” formed a “steering group”, under the joint chair of Alexander Rinnooy Kan (ARK) (1949) and Beatrice de Graaf (BdG) (1976). ARK & BdG thought it a good idea to allow all Dutch people to send in their research questions. This caused 11700 questions. Also using text recognition software by Piek Vossen of Vrije Universiteit (VU), these were reduced to 252 umbrella questions, except for some 2000 that were not reduced. It is not guaranteed that this “wisdom of the crowd” will generate anything useful. Hence there is a “phase of dialogue” till the end of October, in which the mandarins of the “knowledge coalition” discuss what they really want to do. Perhaps the 11700 questions make for interesting wallpaper but it is not unlikely that the final report will give some evaluation of the entire exercise. My own 14 questions are here, and I am wondering whether I am in an open society or in a maze. My first contribution to the dialogue was a debunking of some questions on religion studies, see this PDF in Dutch, or see below. My second contribution to the dialogue are the following comments. A compliment for the people at the research agenda project is that they have linked the umbrella questions to the underlying separate questions, and vice versa. This is handy. It increases the feeling that you are in a maze but it at least you can see where you are in there. Now we don’t need to discuss a question but only whether it has been allocated to the right umbrella. This linking might actually also be done with internet pages of individual scientists. They normally state their research interests, and these might be processed in similar manner. The advantage of this particular ARK & BdG project is the common format: title, 200 words, keywords, use of Dutch. There is a “complaint” that some scientists have been “abusing” the “crowd sourcing” to advocate their own research, but I would rather have that input. One modest question arises too: I am wondering what would happen when my 14 questions were taken as umbrella questions: would the total increase to 252 + 14 or would it reduce to say 250, with less than 2000 left-overs ? These would be marginal changes in terms of software results, but the advantage would be that the discussion could also focus on those 14 questions, instead of hiding and dispersing them all-over. Perhaps other people feel the same about their submissions. Results of course depend upon the software rules. Klaas Pieter Hart of TU Delft apparently was struck by the occurrence of lay questions on mathematics, and started a weblog on “math questions that have been answered already”. He frequently refers to wikipedia pages, and one indeed wonders why the questioners did not look there first. My impression is that Hart makes too much of the matter. We can also regard it as very kind of him to take more time to explain that such questions have already been answered. A less kind interpretation is that mathematical arrogance is at play again. Hart’s weblog has the attitude that lay people do not understand mathematics, and that more explanation should close the gap. This is a strange attitude. People have been getting education in mathematics for ages 6-18. This would not be enough to settle the basic questions that Hart discusses ? This education is not enough to clarify to people that they should first study the question e.g. on wikipedia before submitting it to the national research agenda ? My diagnosis is that something is wrong with math education. It is strange that Hart doesn’t arrive at the same diagnosis. He puts the error with people, I put the error with him and his fellow mathematicians. There is more to it. Let us look at some issues. (1) There is my question on the training of teachers of mathematics. Hart hasn’t written on this yet. Perhaps it is safe to conclude that this is not “answered already”. But we must wait till Hart stops his weblog to be sure. This makes for a difficult dialogue. It would be more efficient if he could state ahead what he will be writing about. My question has also been moved under the umbrella question on future education, with a total of 10 sub-questions. I wonder whether that is a useful allocation. Mathematics education is such a core issue that I feel that it deserves umbrella status by itself. For the diagnosis of the other 252 umbrella questions it is important to grow aware that many (social) problems are being caused by bad education in mathematics. (2) On Pi, Hart misses the opportunity to point to Archi = 2 Pi (check the short movie). Imagine shoe shops selling only single shoes instead of pairs of shoes. Or builders selling only half houses instead of whole houses. Mathematicians however don’t mind making life difficult for you. It is your problem that you don’t get it, and they will be kind enough to explain it again. Well, perhaps it isn’t kindness: what’s in it for them is that they can feel superior in understanding. This psychological reward system works against the student. This is precisely my suggestion: to use functions xur and yur, see my paper Trig rerigged (2008), seven years ago, and books Elegance with Substance (2009, 2015) and Conquest of the Plane (2011). (Best link to the 2nd edition EWS 2015.) Thus, there exists a didactically much better presentation for sine and cosine than mathematicians have been forcing down the throats of students for ages. Hart mentions it in passing, but it is a core issue, and an important piece of evidence for my question on the training of math teachers. Note also that wikipedia today still has no article on xur and yur. Neither on my proposal to take the plane itself as the unit of account for angles, even though Hart refers to that wikipedia page in his text on “90 graden“. The mathematics pages on wikipedia tend to be run by students from MIT who tend to copy what is in their textbooks, and who lack training on keeping an open mind. See here how wikipedia has been disinforming the world for some years now. In that weblog article Hart confirms that sine and cosine can be defined by some criteria on the derivatives. This is the approach followed by Conquest of the Plane (2011). It is nice to see agreement that this is the elegant approach indeed. I think that it is advisable that Hart reads COTP and writes a report on it, so that he can also check that the slanderous “review” by his TU Delft colleague Jeroen Spandaw is slanderous indeed – see here. Since 2011-2012 I present the notion that there is a “bijection by abstraction” between N and R. See my book FMNAI (2015). In his research, Hart has a vested interest in that there is no such bijection. Hart has been partly neglecting the new alternative argument, partly sabotaging its dissemination, partly disinforming his readership about the existence of this new approach. This is a breach in scientific integrity. See my documentation of Hart’s malpractice. It is okay when Hart wants to say that this issue has been “answered already” in his view, e.g. by traditional mathematics. There is freedom of expression. However, as a scientist, he is under the obligation to give all relevant information. This he doesn’t do. Overall: Hart’s weblog is biased and unscientific. One of my questions for the research agenda is how to arrive at a deconstruction of Christianity. I also observed that the Dutch national research school on religion studies and theology NOSTER had submitted four questions. I looked at those questions and their 200 word summaries, and found them scientifically inadequate. See my discussion of this (in Dutch). I informed the research agenda secretariat of my finding, in an email of June 10. To my surprise, one of these inadequate questions from NOSTER has been selected as an umbrella question S14, and my own question that debunks it has become a sub-question for it ! The software for doing this has been developed at originally religious Vrije Universiteit (VU), but I presume that this heritage has nothing to do with this. My question on the censorship of economic science since 1990 by the directorate of the Dutch Central Planning Bureau (CPB) has not been allocated to an umbrella question yet. I suppose that this doesn’t disqualify the question. My question on the Economic Supreme Court (ESC) has been allocated to umbrella question S06, that looks at maximizing national sovereignty in an international legal order. Beware though, since the phrasing of S06 might also be read as a ploy by international lawyers to get more attention for international law. The umbrella contains 29 sub-questions, many of which indeed deal with globalisation. Admittedly, when each nation has its own ESC then international co-operation will be enhanced, since the ESCs will exchange information in scientific manner. This is part of my analysis e.g. on money. However, the ESC is also very relevant for national issues, e.g. in umbrella question G7 on social-economic institutions. Such institutions could differ with or without an ESC. Findings from this realm would provide evidence in support of an ESC, and thus be relevant for parliament that must decide on amending the constitution to create an ESC. These matters of CPB and ESC affect one’s view on the social order. This would warrant umbrella status for them. I would hold that it is important to have a clear view on democracy and voting theory. My question for the research agenda on this was how one could convince the editors of kennislink.nl that their website contains a misleading article. I have been trying for years to get this corrected but they will simply refuse to look into this. This question has been moved to umbrella S31 on issues of privacy and database monopolies. I don’t think that it belongs there. Indoctrinating school students with mathematically proven false information is not the same as privacy and database monopolies. This doesn’t mean that the question should be removed to the 2000 unassigned ones, and further forgotten because there are too many of those. I have some comments on the other questions but a weblog should not be too long. Rinnooy Kan has a background in mathematics and De Graaf was in the news with her personal background in Christianity. Jointly they would be able to recognise the points raised here. My appeal to them is to take my 14 questions as umbrella issues, and work from there. The breach of scientific integrity by K.P. Hart and his misleading weblog must be dealt with separately. National parliaments around the world are advised to have their own national parliamentary enquiry into the education in mathematics. There is a failure in mathematics and its education, that can be traced to a deep rooted culture in mathematics. Mathematicians are trained for abstract theory but when they teach then they meet with real life pupils and students. They solve their cognitive dissonance by embracing tradition for tradition only. Instead, didactics requires a mindset that is sensitive to empirical observation which is not what mathematicians are trained for. When mathematicians deal with empirical issues then problems arise in general. Other examples are voting theory for elections, models for environmental economics and growth, and the role of ‘rocket scientists’ in causing the stock market crash in 2008 (Mandelbrot & Taleb 2009). While school mathematics should be clear and didactically effective, a closer look shows that it is cumbersome and illogical. What is called mathematics thus is not really so. Pupils and students are psychologically tortured and withheld from proper mathematical insight and competence. The mathematics in this book is at highschool level.